Tucked between the Tomorr mountain (which locals claim to be the resting body of a fallen giant) and the Osum river, Berat is the jewel in the crown of Albania. Home to 60,000 people, many of whom tell tales of being forced to work in the munitions tunnels carved by the Communist government into nearby hills. It’s a town of two halves – the winding medieval white-washed streets cut a course on the right bank of the river, while an altogether more modern settlement is the hub of the town on the left bank. High above the town lies its castle – a fortress built to protect the town and her inhabitants from Byzantine raiders. Once it was a front line of wars between powerful empires vying for control. 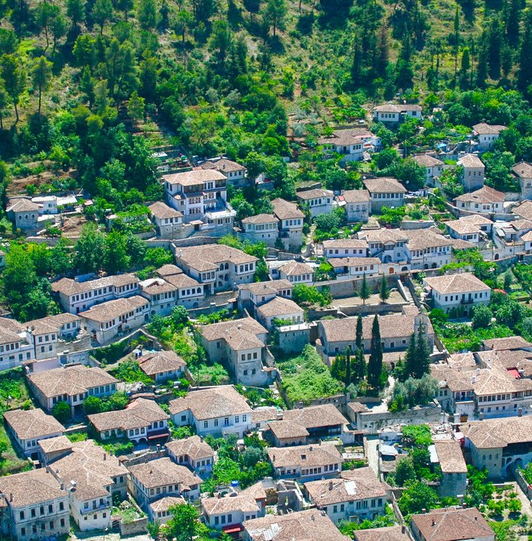 Now a slippery marble paved road keeps all but the most determined flip-flop clad tourists from reaching the top.Consecutive invasions of Berat have left the town with a mixture of architecture. The Turks brought their influence, as did the Communists. An interesting mish-mash of styles pleasing to the eye, and the camera. Misty mountains and alpine streams dominate in this untouched corner of europe’s unexplored country. The traditional way of life is slowly changing in the steep-sided valleys. Farmers are turning their hand to hosting trekkers looking for adventure. The region borders Kosovo, territory fiercely claimed by both Serbs and ethnic Albanians. It’s home to wild dog, wolves, and some say bears. But don’t let this put you off. 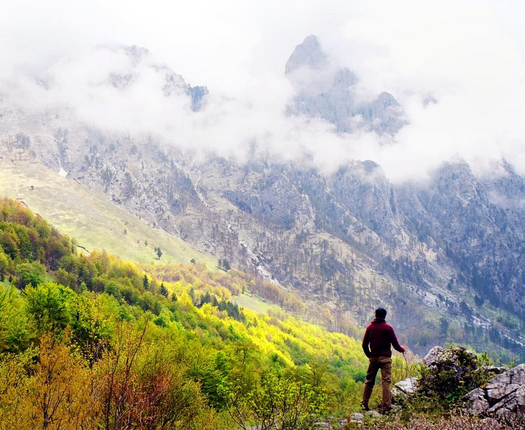 The mountains offer fantastic trekking, climbing and camping. Albania is becoming a stoic pinpoint on the map for travellers from around the globe. New roads are being built, hotels are under construction, and the country is planning to build a second airport, at Kukës – development which’ll make getting to northern Albania much easier, and visiting a more attractive prospect. A ride along Lake Koman is only comparable to a trip on the Norwegian fjords. Bottle green trees meet the waters edge along the breathtaking route. The landlocked lake through the ‘accursed mountains’ is actually a hydro-electric damn, but also forms part of an ancient route from Kosovo to Albania. The rickety ferry stutters into life several times a day, passing which scenery has to be seen to be believed. photographers dream, the landscape could have been plucked from the Lord of the Rings trilogy. Mountains tower above the lake as it weaves its way to Fierza. 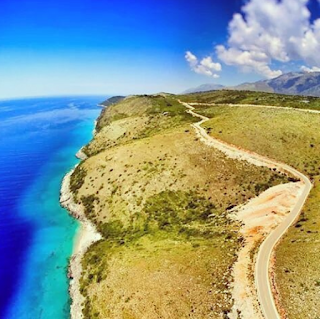 It’s a route used by tourists and locals alike – meaning it’s a great chance to practice pigeon Albanian (or sit back, have a beer and take in the views). 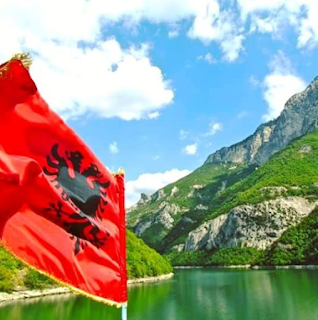 Lake Koman is the most scenic route to travel to the Valbona National Park from Shkodër. It has been described as “one of the world’s great boat trips”. This sleepy fishing village on facing out toward the Ionian Sea remains relatively untouched by Aussie backpackers flaunting flip-flops and tales of far-flung lands. Sea food restaurants line the sea front enjoying unspoilt views over the town’s beach. 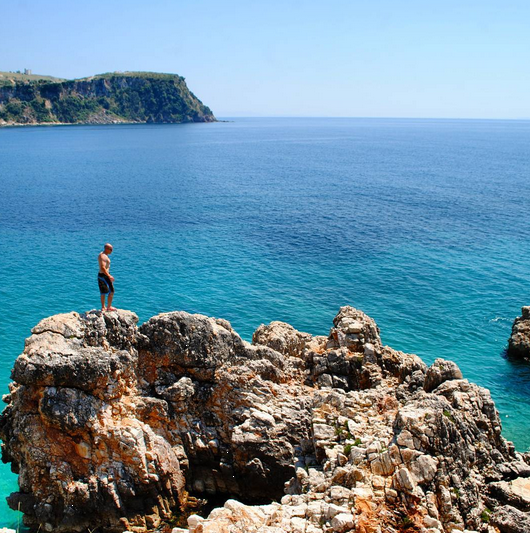 Less than half an hour’s stroll away from the Xhiro is ‘Albania’s Ibiza’ – Jala. Toned men and bikini-clad women descend on the beach to drink at its bars, swim in crystal clear waters and ‘be seen’ during the summer month. It’s a world away from the serenity of the surrounding villages. Probably Europe’s weirdest capital city. 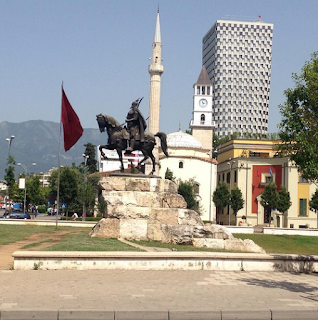 At first glance Tirana doesn’t have a huge amount to offer a wondering soul, but its quirkiness makes it worth at least a day stop-off. The International Center of Culture (or the Pyramid of Tirana) tops the Albania’s list of the weird and wonderful. Opened in October 1988 was intended to be a museum to Enver Hoxha – the leader of Albania’s communist cult. The pyramid new sits empty and derelict. It’s an ad hoc climbing frame for plucky locals and tourists hoping to get that “perfect selfie”. Tirana of the centre of Albanian life. Smartly dressed men and women weave their way between the chaotic traffic like in any other European capital. It’s the home of the country’s night life, especially the Blokku area, a section of town formerly reserved for the country’s elite.